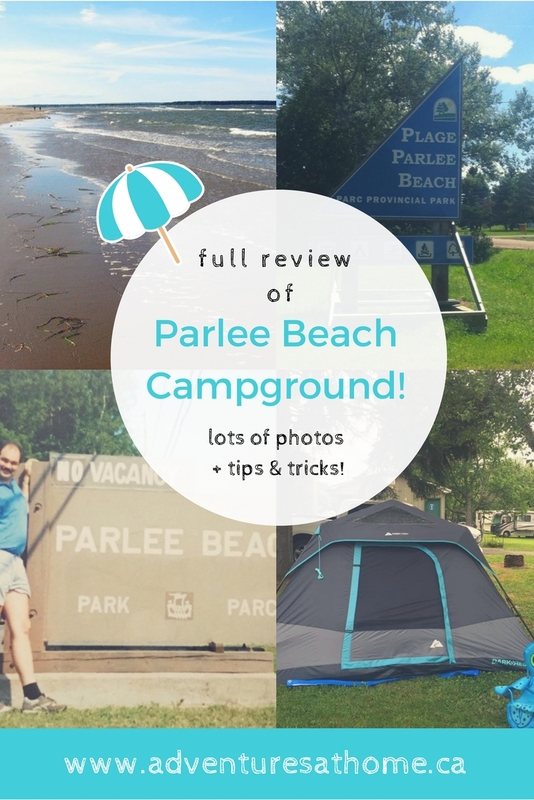 After my last post 10 Day Trips To Take This Summer Within Driving Distance Of Fredericton went up, I had a TON of inbox messages asking for more information about Parlee Beach Campground. 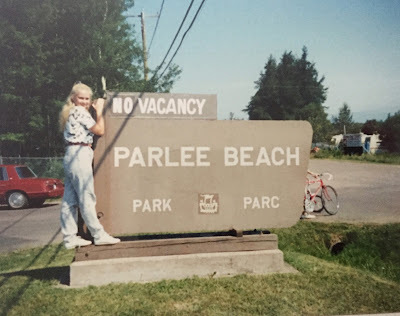 I've been camping at this campground almost every Summer since I was a toddler- so I've got over 25 years of experience camping there. 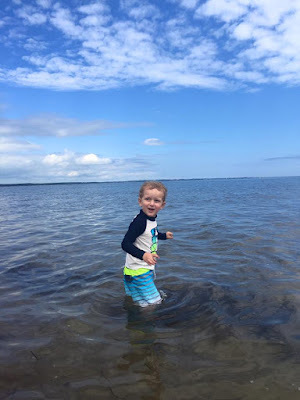 We started taking our son camping there when he was just 18 months old. 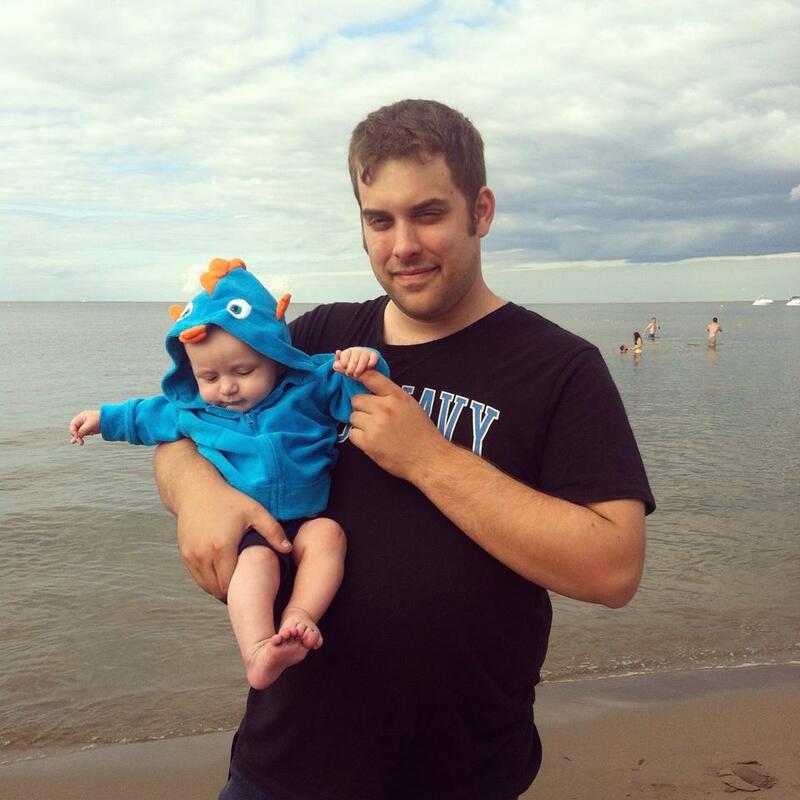 We took him to Parlee Beach for the first time at 4 months old. 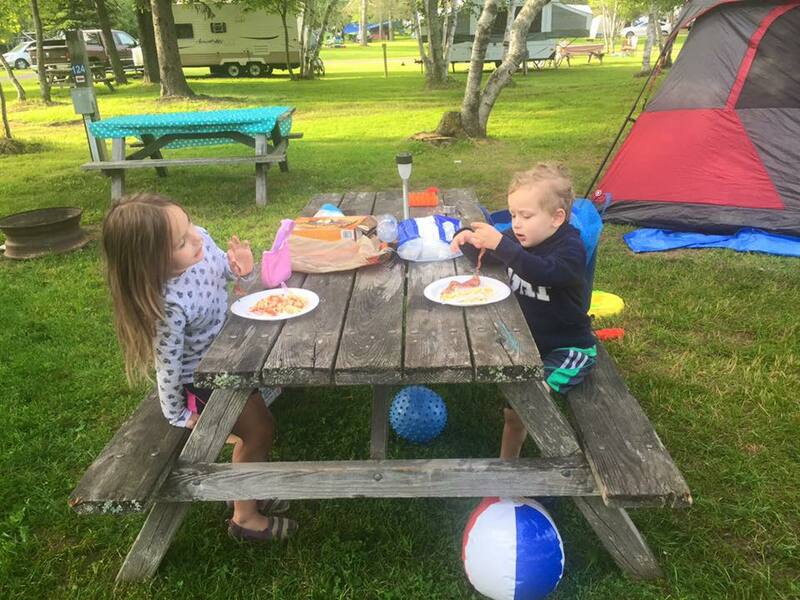 Since becoming a parent and being a part of various local mom groups I've seen Parlee Beach Campground get mixed reviews. 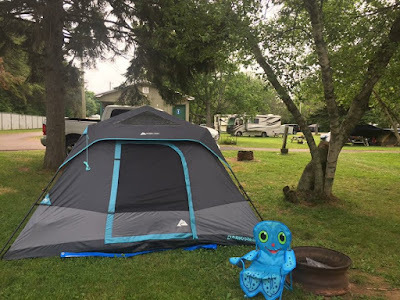 I'm writing this post to give you an honest review built on years of experience camping there, including pictures, stories, and tips and tricks! 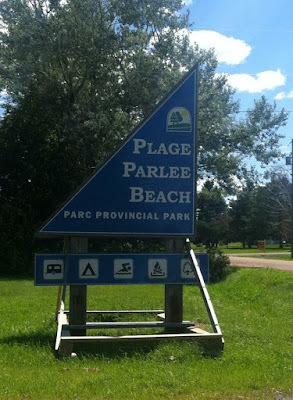 Parlee Beach Provincial Campground is a campground located at 45 Parlee Beach Rd. Pointe-du-Chêne (Shediac) New Brunswick. 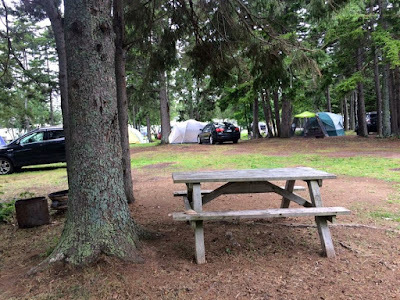 It features 207 camping sites for both tents and trailers. 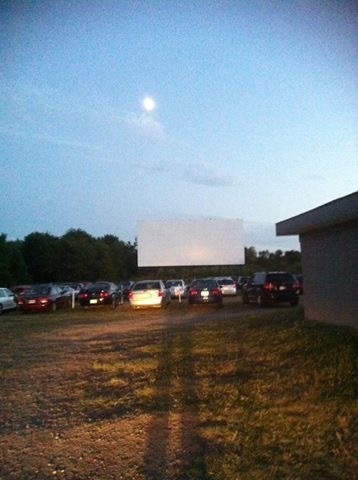 My favorite part about it is how convenient the location is- it's a 10-15 minute walk to Parlee Beach, has a playground for kids, is directly across the road from the Neptune Drive-In Theatre, and is within walking distance of a convenience store. 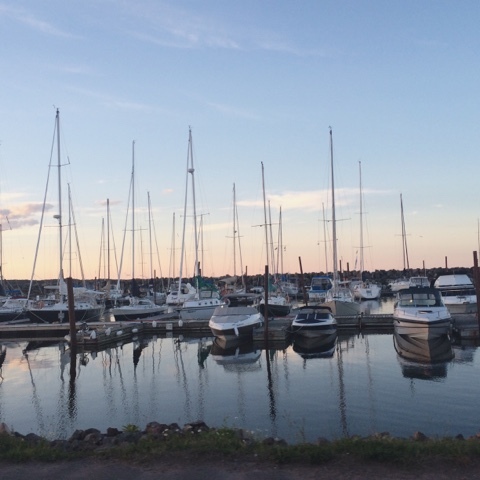 Restaurants, shopping, a splash pad, grocery stores and pointe-du-chene wharf are a 5 minute drive away. Neptune Drive-In is directly across the road, and is so much fun to experience! Pointe-du-chene wharf age 18 months. 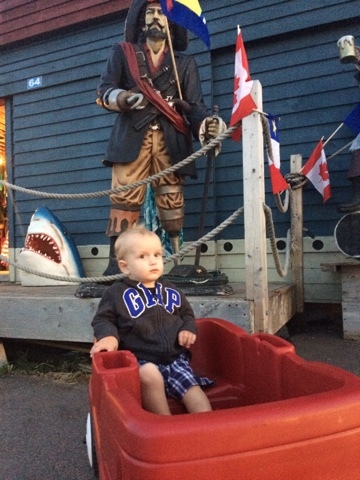 Unsure of pirate. Like I mentioned before, we have been camping there for years, so through experience, I've learned the best way to book a site. If you've been camping here before, you may have a favourite camping site. If you love the spot you stay in, write down the site number! It makes it so much easier to book the same site again when you know the number. When you book online, you have the option to choose which site you book and see photos of it. "Campground C" is the open field with sits on the other side of the playground. The sites are nice and grassy, but you are essentially camping in an open field and there isn't a lot of trees for shade. You also have to walk across the field to reach the washrooms and showers, which isn't ideal for tenters. We have never camped in this section. "Campground A" and "Campground B" are both right beside each other/flow into each other. I'm not even really sure why they label them separately, as there is no distinct separation between the two. Both have serviced and unserviced sites, trees for shade, etc. There are definitely some sites that are better than others, so I encourage you to check the photos on the booking page for each site you're interested in. They accept credit cards or debit visa, so it's super convenient to book online! If you love your site, after your trip you can even book it for the year ahead at the office while checking out. Note: When you get there to check in, they will need your license plate number and a $10 deposit for the security gate key card. This is not included in the booking price, but you get your deposit back upon checking out. Click HERE to see the map of the sites and to make your reservation. We made the mistake of NOT checking the photos on the site below and ended up sleeping on a slope, on top of tree roots and pine needles. Not ideal. This site below was much better. It's on a grassy lot, near the bathroom and showers, which was perfect for us last Summer when our son was potty training. I highly recommend checking how far you are from the bathrooms before booking your site. The website has a handy map of all sites that details which sites are serviced and which are not, shows where all of the bathrooms and showers are located, and if you click on each site it will bring up an actual photo of the site. If you're worried about hearing people going to and from the bathroom- it honestly did not bother us at all. We barely noticed the people going to the bathroom and no one walked through our site to get there. In regards to the cleanliness of the bathrooms, I've never noticed an issue. The one near the site we book is newer and very clean. Keep in mind that you are camping near a beach and you will probably see sand on the bathroom floors from time to time before the bathrooms are cleaned. I've seen this complaint in other forums before and honestly- it's camping, lighten up. NOTE: The showers are coin operated and take quarters. We have always had hot water while showering here. This photo below is the first campsite my husband and I had ever camped at together. Summer 2010. This one below is from last year and is the same site, just a different angle. 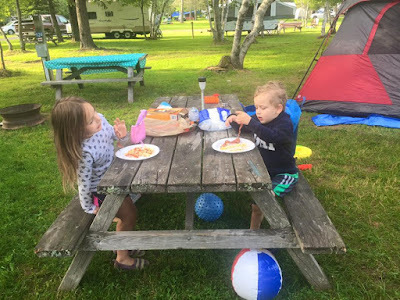 I love getting a spot near the back or edges of the campground because the roads are much less busy than the center roads, which is great for playing with the kids and not worrying about traffic. My son LOVED having that tree to play on and around, and it provided great shade on hot days. I LOVED this tent! 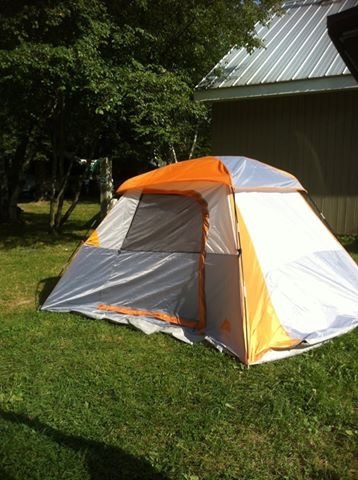 We just bought it last year and it's the Ozark Trail 6 Person Dark Rest Instant Cabin Tent. 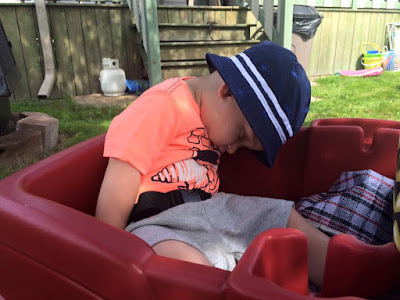 It's nice and dark so it allowed our son to take a nap in the middle of the day with no light getting in, and I will never again get a tent that isn't an "instant" tent. It took maybe 5 minutes to set up at the most. That adorable chair is by Melissa and Doug! We had a serviced site and made breakfast with our electric frying pan! After breakfast, the kids played with the Super Summer Fun Basket! Scroll to the bottom of this post for a link on how I put the basket together! 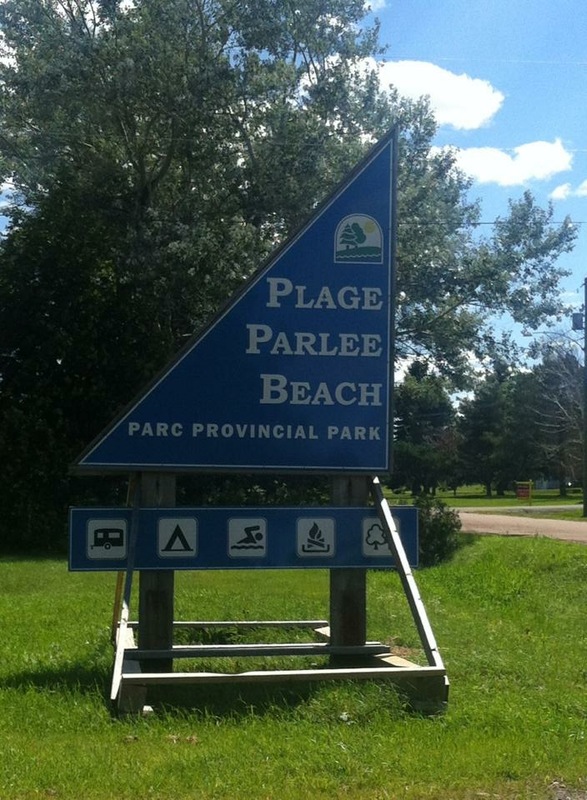 Parlee Beach Campground is a short 10-15 minute walk to Parlee Beach down a quiet dead end street. The street is tree lined and you'll see lovely little cabins and beach houses along the way. At the very end of the street is a walking/biking only entrance to the beach. 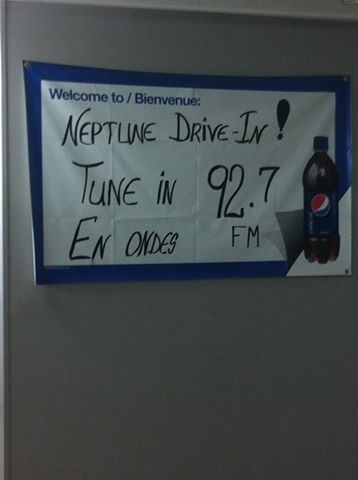 You can not drive your car to Parlee Beach this way. There is another entrance for cars but you have to pay to enter, as this is a Provincial Park. There is no cost to walk or bike there. 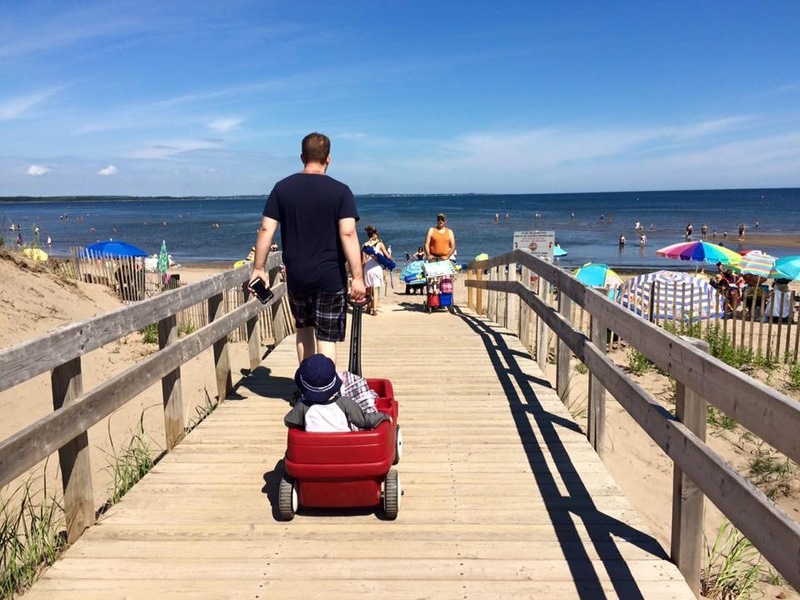 We love bringing our wagon to walk to the beach! When our son was 2, we loaded the wagon up with him and our cooler. 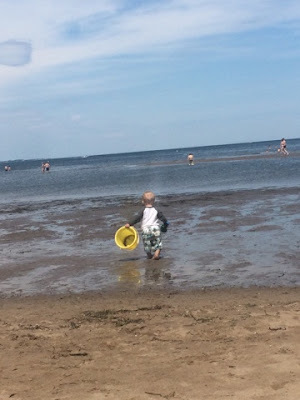 Last year when our son was 3, we pulled him and our friend's daughter to the beach and the kids loved it. I also recommend getting some kind of camp wagon or grocery trolly to take your cooler, beach chairs etc. It makes it so much easier to wheel your items there instead of carrying them. 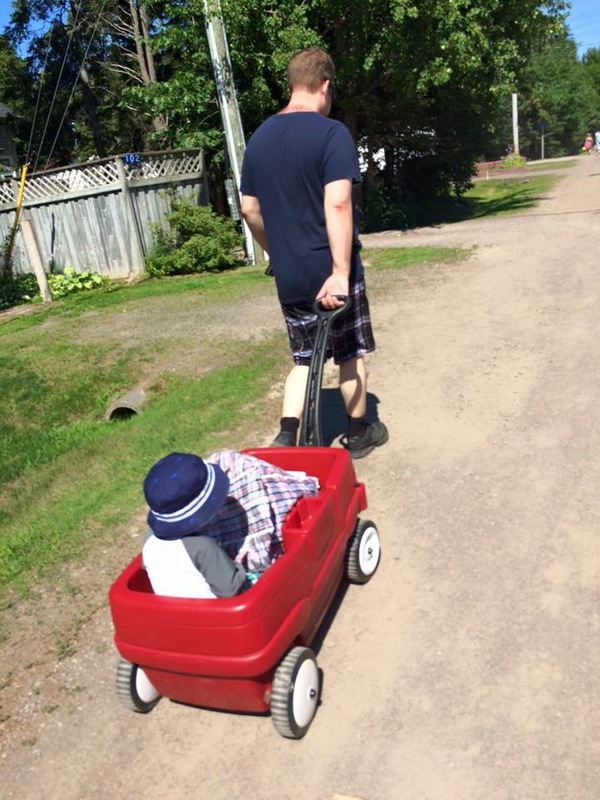 Wagons are great for hauling tired babies home from the beach. Parlee Beach is considered the crown jewel of tourism for New Brunswick, but had some bad press in 2017 regarding water quality. As un-glamourousas this is to talk about, I wanted to start off by saying that in the many years I've been going there, my family and I have never gotten sick or gotten weird rashes from the water. Just being real. Following the bad press, they have upped the frequency of their water testing and method of alerting the public of any issues. If the water is not safe for swimming, there will be a sign alerting you. Any time it rains, the level of bacteria in the water will rise (at any beach), so it's best not go to the day after a rain storm. Find more information HERE. 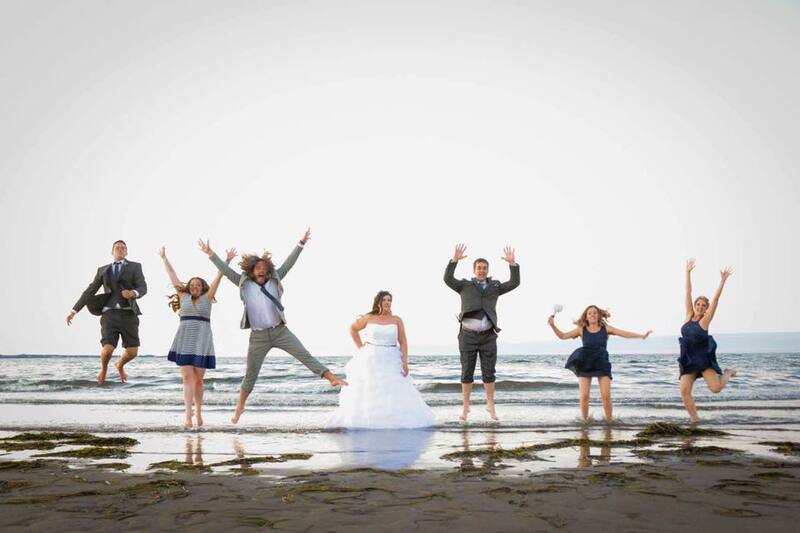 Now that we've discussed that, let's talk about this beautiful beach with the warmest salt waters in Canada. The beach has several sections to choose from, a restaurant on the beach, a canteen for food and drinks, bathrooms and an outdoor shower section to rinse the salt and sand off. It also has a playground for the kids, but we like to spend most of our time on the beach itself. I took this photo during an October visit to Parlee Beach in 2010. 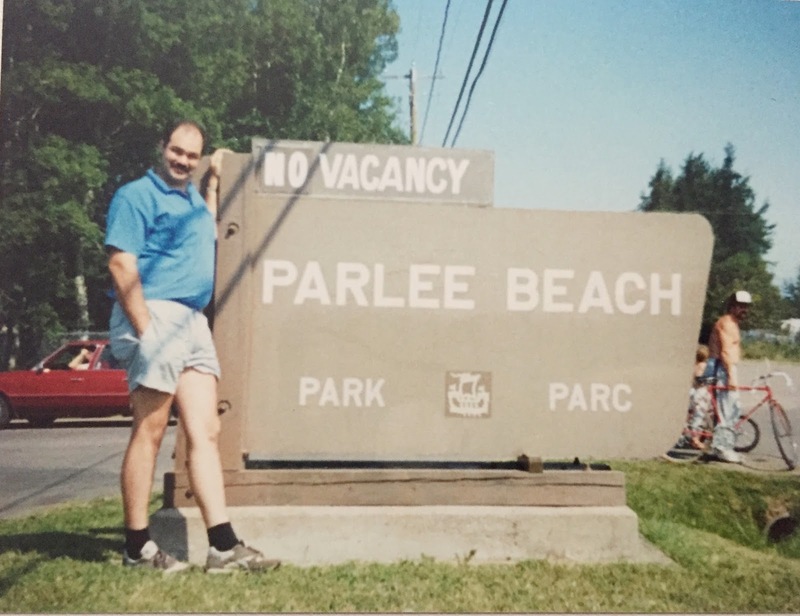 It was my first time showing Parlee Beach to my husband. 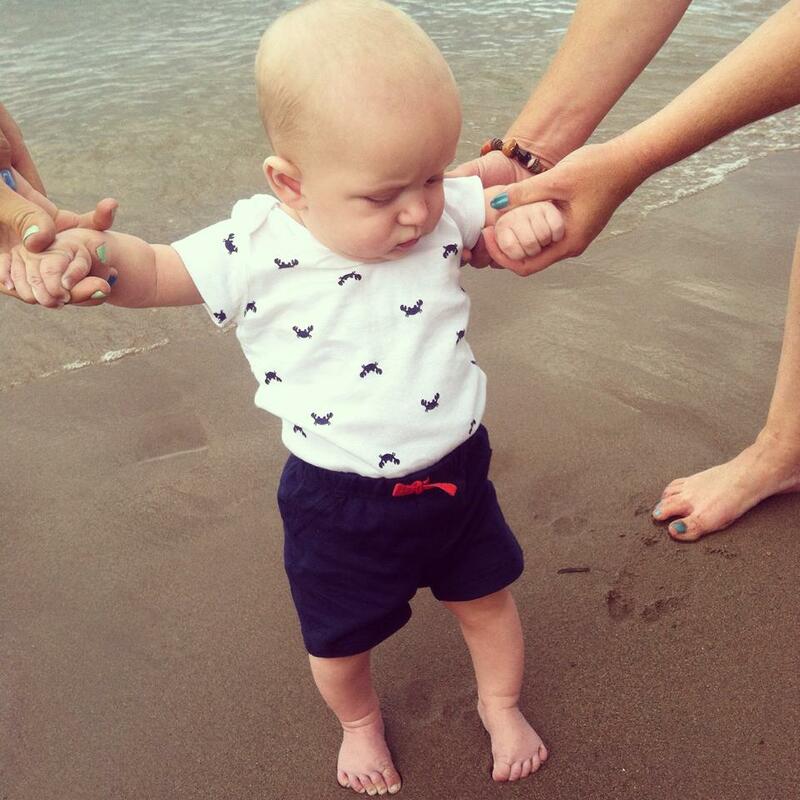 First trip to the beach at 4 months old. 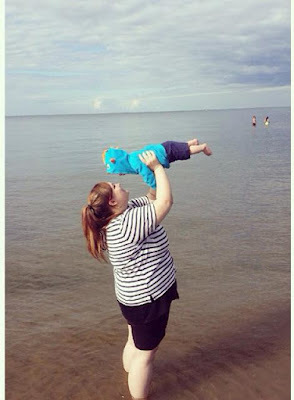 Mommy and M- our first time at the beach together. 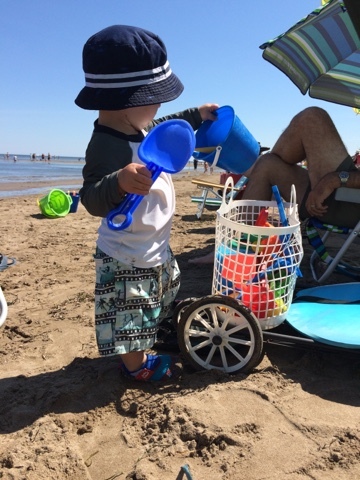 Second trip to the beach at 18 months old. 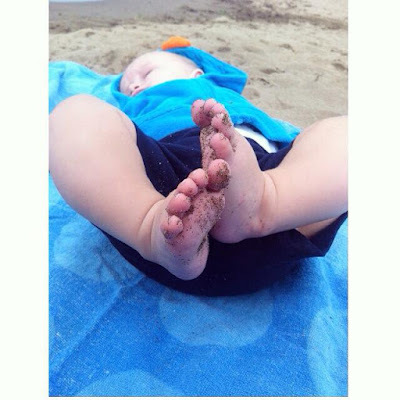 I also have a "Camping With Babies & Toddlers" post coming soon with a free printable check list! 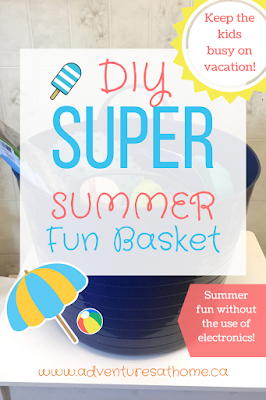 The Super Summer Fun Basket! 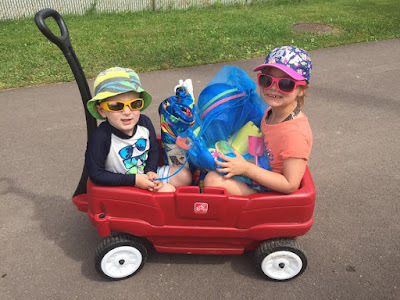 As mentioned above, I made a basket of fun Summer toys to keep the kids occupied during our camping trip last year! Click HERE to find out how I made our very own super summer fun basket to take to Shediac! I've already got it ready to go for this year! PLEASE comment below or email me if you have any questions about camping at Parlee Beach Campground. I will do my absolute best to find the answers for you! This post was not sponsored, I just freakin love this place.